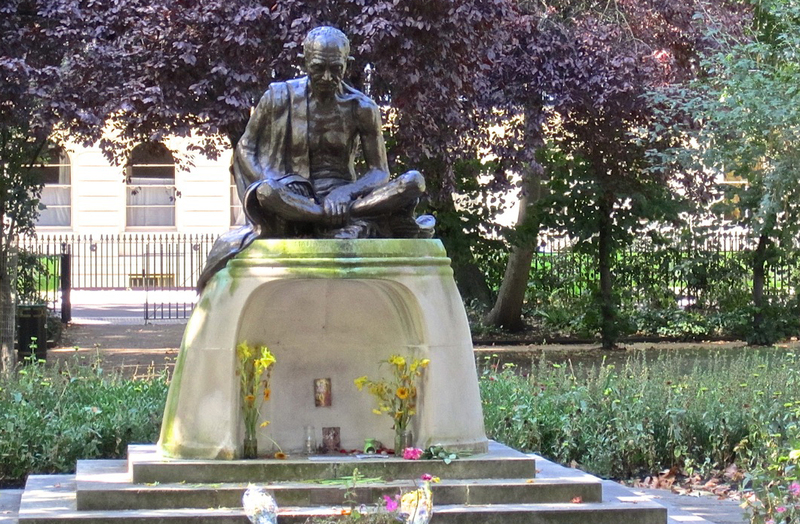 The Indian High Commission and India League will host Gandhi Martyrs Day on Wednesday 30th January, 2018, 11am, at Tavistock Square in the London Borough of Camden. Like every year, many esteemed members of the British Indian community, including MPs, Peers and Councillors will gather at the iconic statue to pay tribute to Gandhi on his death anniversary, followed by a musical tribute from the students of Bharatiya Vidya Bhavan (UK). The programme will include dignitaries paying floral tribute to the statue followed by short speeches, bhajans and vedic prayers. This will be the first Gandhi Nirvaan Divas attended by the new Indian High Commissioner HE Ruchi Ghanashyam. They will be joined by India League Chairman CB Patel.